Scientists at the USDA-ARS Pasture Systems and Watershed Management Research Unit have compiled a plant identification guide from their extensive surveys of northeastern pastures. This second edition, published in 2018, contains more species, and line art from the 1913 edition of the three-volume An Illustrated Flora of the Northern United States, Canada and the British Possessions, by Britton and Brown. You can download the entire guide as one large PDF (41MB). 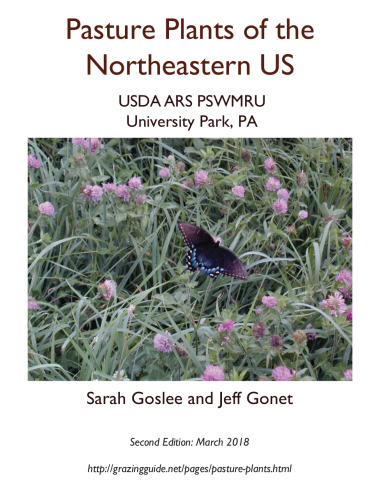 Researchers at the PSWMRU have also produced a photographic guide to seeds and seedlings of common pasture species of the Northeast.